Assisted living facilities are popular among senior citizens who may not be able to fend for themselves. For children and family members making the decision, finding the most basic information can be an overwhelming process. We offer a checklist you should follow and arrive at the best decision. There are now more than 30,000 assisted living homes and facilities spread throughout the United States. Together, they offer almost 500,000 living space options for senior citizens to find the balance between being independent and getting support from trained professionals when they need it. In facilities like these, the average stay is around three years, and many remain in residence for much longer. 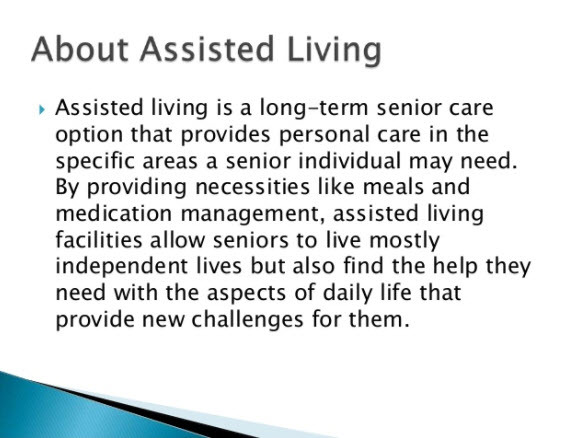 Here is a helpful expanded guide to Assisted Living Facilities. 2. What are Levels of Care, and what Amenities are offered? There are options in every location for every price bracket and for every personality. Some are designed to help those who need a very close level of attention and care at all times. Others are designed for those who are capable of doing nearly everything on their own and offer ways to stay connected with family members with family activities. The more research you put in, as an advocate for your loved one, the better the result ultimately will be. That research starts with seeing what options are out there locally. 3. How Much Does Assisted Living cost? Those options can vary quite a bit, both in pricing and in level of service. The majority of communities charge a basic rate for the apartment itself and the standard level of care and programming it offers to all its residents, such as meals and activities. There are individualized services offered for additional fees. How much these fees are and what fits into the standard level of care, however, depends quite a bit on the particular facility. That’s why comparing what is out there is so important. How much caregiving is offered at any given time? Does the facility fall in your price range / budget? Do the basic services provide what you need? Does the assisted living facility have a good reputation? Is the assisted living facility in a good neighborhood? What is included with the room package? What activities are scheduled for seniors? What safety measures are in place for residents? Finding an assisted living community for your loved one is not easy. Do your homework and don’t be afraid to ask questions. Use the guide listed above to focus on areas that are really important.